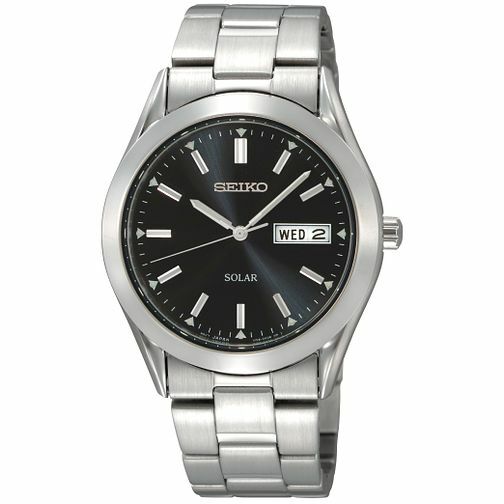 Seiko men's stainless steel bracelet watch featuring black date dial. A classic design for work or play. Seiko Men's Stainless Steel Bracelet Watch is rated 2.0 out of 5 by 1. Rated 2 out of 5 by Anonymous from not 30m Water resistant to 30m is misleading. If you look at the instructions it says 30m means splash proof, do not immerse. So dont let it near the shower or the wasing up. No amount of complaining to ASA or trading standards will make them change the wording.